Dawn received her Bachelor’s degree from Washington & Jefferson College in 1992 and her Juris Doctorate degree from D.C. Law in 1995. She is a member of The Florida Bar, the U.S. District Court for the Middle and Southern Districts of Florida, the U.S. Court of Appeals for the Eleventh Circuit and the Supreme Court of the United States. Dawn concentrates her practice in the defense of workers’ compensation, and labor and employment matters. Dawn is the Managing Partner of the Miami/Fort Lauderdale Office of Eraclides, Gelman, Hall, Indek, Goodman Waters & Traverso. Dawn is a Past Chair of the Workers’ Compensation Section of The Florida Bar, a member of the Executive Council of the Workers’ Compensation Section of The Florida Bar and is Continuing Legal Education Chair for the Workers’ Compensation Section of The Florida Bar. Dawn has been named as a Fellow in the prestigious National College of Workers’ Compensation Lawyers. She is a member of the Broward County, Dade County and Monroe County Bar Associations. 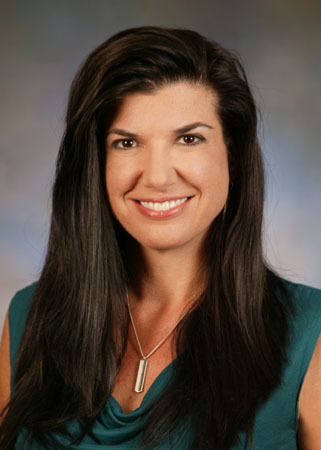 Dawn is certified by The Florida Department of Financial Services as an instructor in Workers’ Compensation, and has lectured on multiple occasions at numerous conferences including The Florida Bar’s Workers’ Compensation Forum, The Florida Workers’ Compensation Institute (FWCI), The Risk Management Society (RIMS), PRIMA (Public Risk Management Association) and International Association of Rehabilitations Professionals (IARP) on various topics including ethics, and the administration and defense of workers’ compensation claims. Dawn was previously the Vice-Chair of the Workers’ Compensation Rules Committee. Dawn is a Trustee with the Friends of 440 Scholarship Fund, and former Chair of the South Florida Chapter. Dawn is a founding member and Master at The Richard A. Sicking American Inn of Court. In 2017, Dawn was the first woman to have received the Frierson-Colling Professionalism Award.